Home Technology 5 Ways to Use Technology Creatively! Ways to use technology are certainly one of the things that the human being should handle. In this sense, nothing is what it seems and everything can serve for many things. Therefore, in this article I will talk about ways to use technology. Some to ensure greater protection, or to facilitate tasks. But they all have something in common, the creativity of the human being. 1. 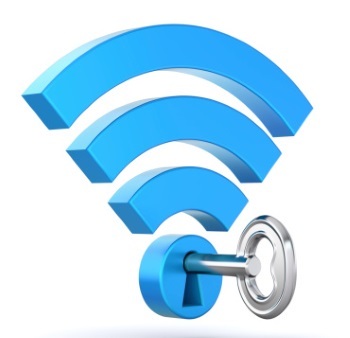 Use Wi-Fi for Security: My way to use Favorite Technology! In an earlier article I wrote about ways to protect the Wi-Fi connection. Today, I’ll talk about a way to use technology to increase the security of your Wi-Fi. An overly creative method! With the passage of time, the keys have been a sign of safety and versatility. However, if any of them gets to lose our apartment then it becomes unsafe. So you should almost always change the lock and thereby spend money. However, the Wi-Fi powered locks eliminates the problem. This electronic system ensures your apartment, room and so on to prevent an intruder from entering. Currently, this system is being used at Northwestern University in Chicago. It has allowed to maintain safe dormitories and is today a way to use the technology quite singular to guarantee security. Many times they tell us how tedious it is to lose something and not know where. However, an easy way to find it is with RFID technology. An easy system that allows you to locate anything as long as you have an implanted chip. It is a very simple and safe way of locating pets and even people. But it is becoming very popular for locating objects. In this link you will find a company in charge of RFID technology for the public. If we are going to talk about how to use the technology, we must mention how RFID helps prevent theft. In this sense, after multiple thefts of chips to casinos, among others. It was developed to develop an RFID system embedded in poker chips. This system allows you to track the chips once they are lost. They can also know what they spend or how they spend them. A very interesting marketing strategy that at the same time provides security. 4. 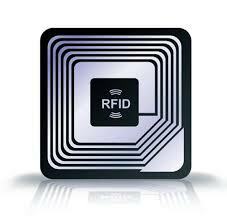 Use RFID for data collection: A way to use very powerful technology! Many places have started using this system. Among them are Disney amusement parks, which have replaced the old entrance tickets. In this sense, this system gives them a better knowledge of their client. I think among the ways to use technology, this is certainly an amazing one. Let you know how the customer spends his money, and thus ensure a better visit and better service. Finally, new ways of using solar energy have given much to talk about. And I did not want to miss this opportunity to talk about the important advances. On the one hand, China is seeking to expand the use of solar energy in automobiles. This ambitious move is part of a project to create a less polluting China. Also in San Diego, you begin to glimpse what will be an intelligent city. The same will work with renewable energy, and solar energy is between them. The first steps will be seen in the changes of traffic lights by some that work with solar energy. Motivating the use of this type of energy for residents. Ways to use technology are certainly a door to the future. This in the hands of people who want a better planet and society. If you liked the article you can visit this other How Technology Is Changing the World and you can also visit Technology Tips for more content. See you soon! Next articleImprove Website Security: Make Your Website Safer!